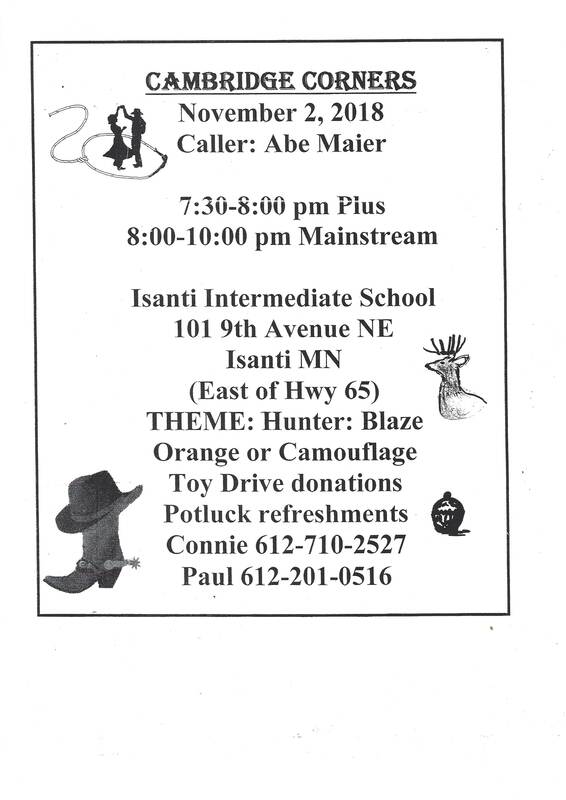 “Hunter – Blaze Orange or Camouflage” Square Dance (Caller Abe Maier – “Plus” 7:30-8:00 pm, “Mainstream” 8:00-10:00 pm), potluck. Location change to Isanti Primary School. Cambridge Corners Flier!